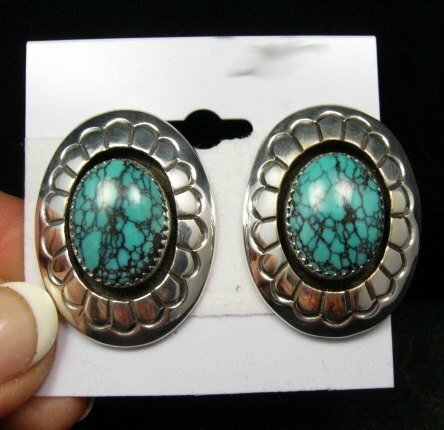 Gene & Martha Jackson created these classic sterling silver shadowbox earrings with natural turquoise stones. They are known for there shadowbox work. 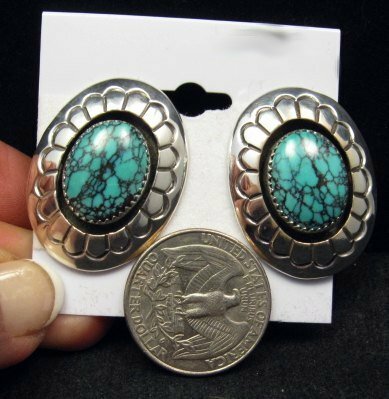 The earrings measures about 1-3/8 inch long by 1 inch wide and weigh 7.5 grams each. Brand new and in perfect condition. Gift Box and Certificate of Authenticity included. Hallmarked by and purchased directly from the artists. Gene & Martha Jackson are members of I.A.C.A. and I purchased these earrings and other jewelry directly from them at the most recent IACA market. The workmanship is impeccable - you can always depend upon quality when you purchase a piece of Gene & Martha Jackson jewelry.